Zippo Native American Street Chrome | BUDK.com - Knives & Swords At The Lowest Prices! 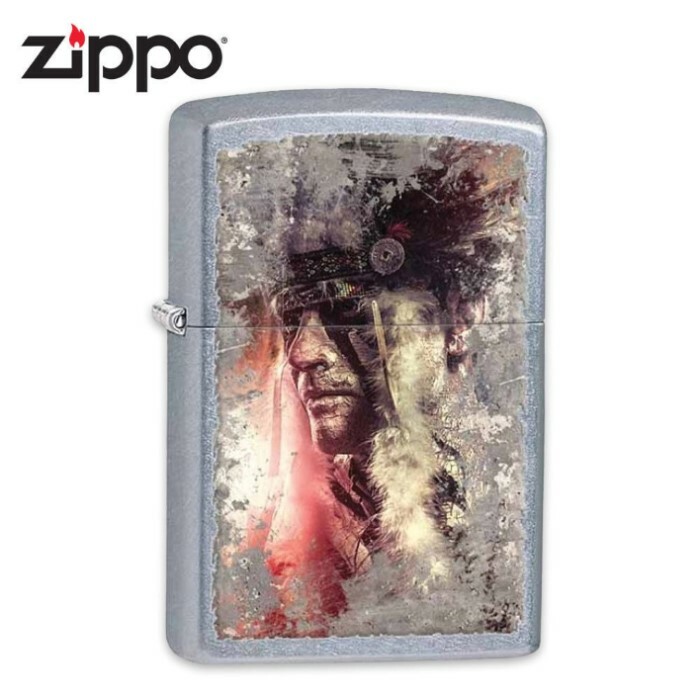 New in Zippo's Street Chrome line, this lighter features a colorful depiction of a Native American man. This beautiful tribute to American history is depicted on a vintage-style rugged texture. It comes in an environmentally friendly gift box.